Ford’s latest initiative guides it's driver through the 'Impossible Park'. 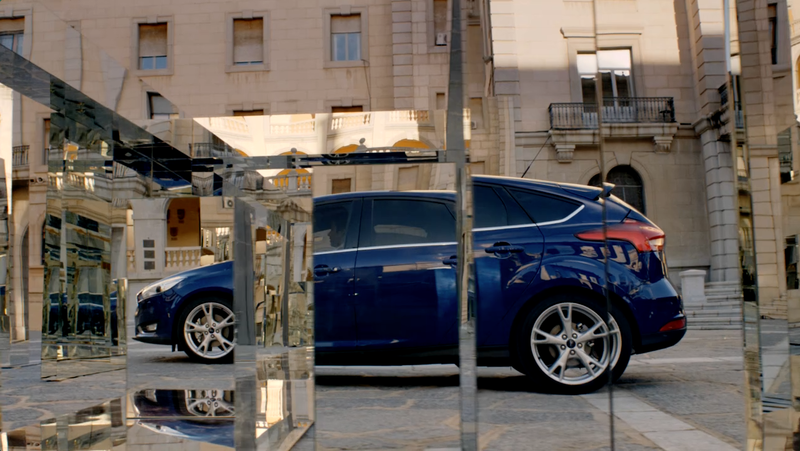 The ease with which this driver effortlessly backs his new Ford Focus in a mirrored box without so much as a scratch is enviable in this latest ad from The Blue Hive and Radical Media. The ad used the stunt to display Ford's recent innovations designed to assist customers with parallel parking, an aspect of car ownership that many drivers struggle with. The Mill was involved from the early pre-vis stages to bring this technically challenging, yet visually impactful stunt to life, Lead 2D artist Pete Rypstra comments, "The shoot took place in a military base in Toledo, Spain, involving four cars across several mirror setups. The sheer number of mirrors needed to create director Bruce Hunt's vision was always going to throw up massive technical challenges. With such huge set builds and two car models to shoot, Bruce used our pre-vis team to find the best shots possible, whilst also aiming to reduce the post clean-up and get the most out of every mirror setup in the time we had. It was then our job in 2D to work on the car beauty, mirror clean up and removing cameras and crew."